At the beginning of every month we get a cheese box delivered from Neal’s Yard Dairy – I know, I am so lucky. It includes four pieces of delicious cheese which, together with the basic cheese I make, generally does us for the month without having to buy anything else. I always look forward to the arrival of the cheese box and finding out what is in it – and of course tasting it. This month’s box included Cardo a washed rind goat’s milk cheese; Innes Log a goat’s cheese; Coolea (a sweet-ish hard cheese that I use in place of Parmesan a lot) and Kirkham’s Lancashire which is just delicious. Although I generally use the cheese in regular cooking (or just eat it by itself) I also often I make a special dish that highlights one of the cheeses and I thought it might be nice to include them here. 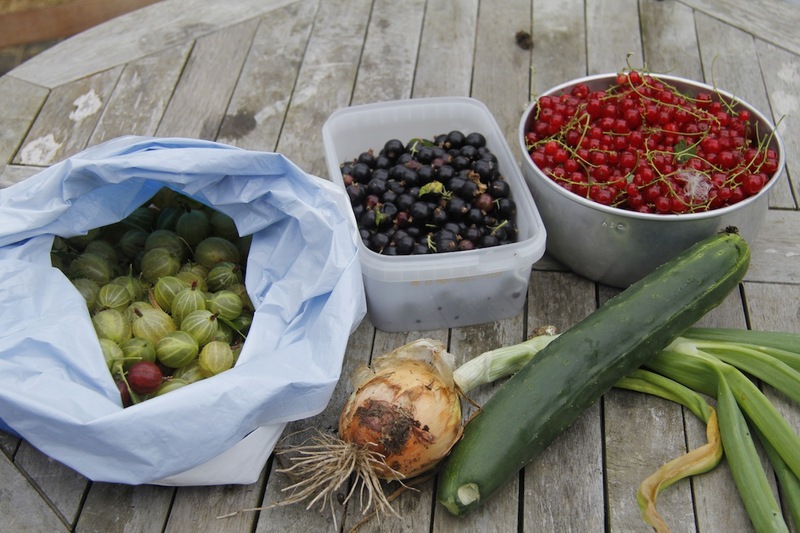 Last night’s meal was very simple, but delicious – it was Saturday evening and I had been busy all day and then spent the early evening taking kids round to feed/pet the animals and collect eggs, as well as picking lots of redcurrants, black currants and gooseberries before the rain set in. 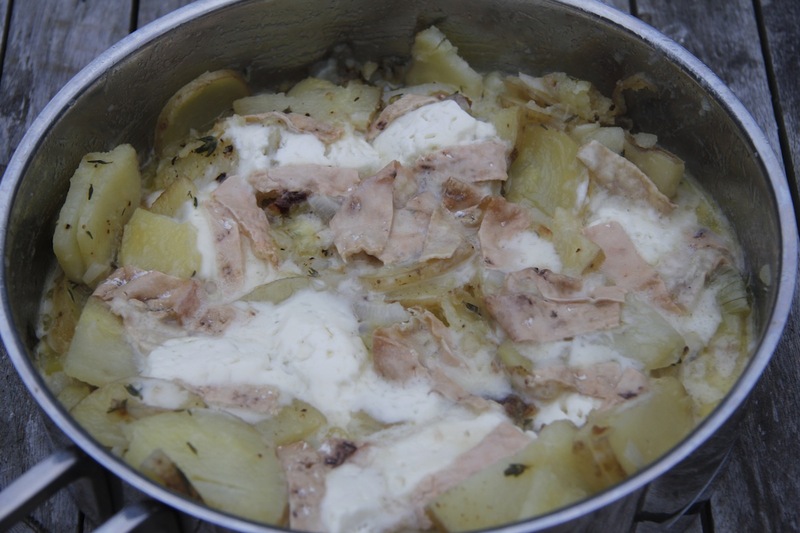 It is based on a recipe by Nigel Slater in Real Food (26) which uses Taleggio. 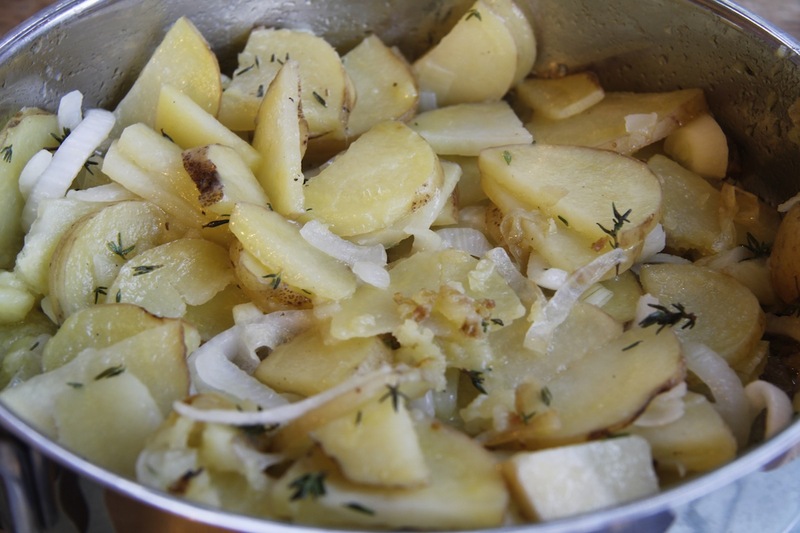 Slow-cooked potatoes with Cardo: I thinly sliced two large new potatoes that Ivan and Penny had given us and sliced one of our onions from the garden and gently fried them slowly in olive oil with the lid half over the pan. I added some thyme leaves. When the potatoes were cooked and melting I put sliced Cardo on top and again cooked it gently. The cheese melts down leaving the rind still holding its shape. This looks weird, but taste delicious. 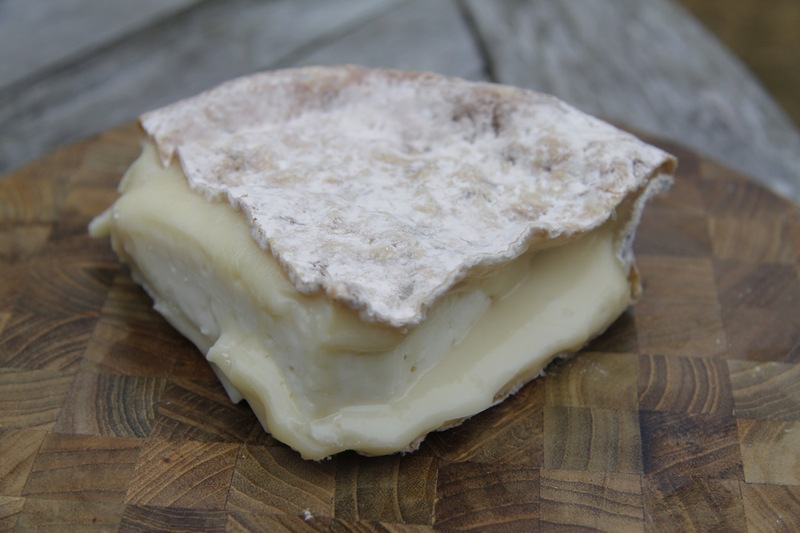 The rind is an integral part of the cheese so don’t cut it off! We had it with broccoli that I bought as I was craving some vegetable that wasn’t salad! N.B. It is raining today so it looks like I might be making jam and finishing clearing out the garage in preparation for making a rhea and turkey brooder area! Love the recipes and jealous about your cheese box! How fresh is the cheese? And a month seems a long time between deliveries…. At least one of the cheeses is ready to eat straightaway. One other usually needs to be eaten in the following couple of weeks. The last two are often Cheddars or a Lancashire or Caerphilly and they keep fine through the month and often into the next. 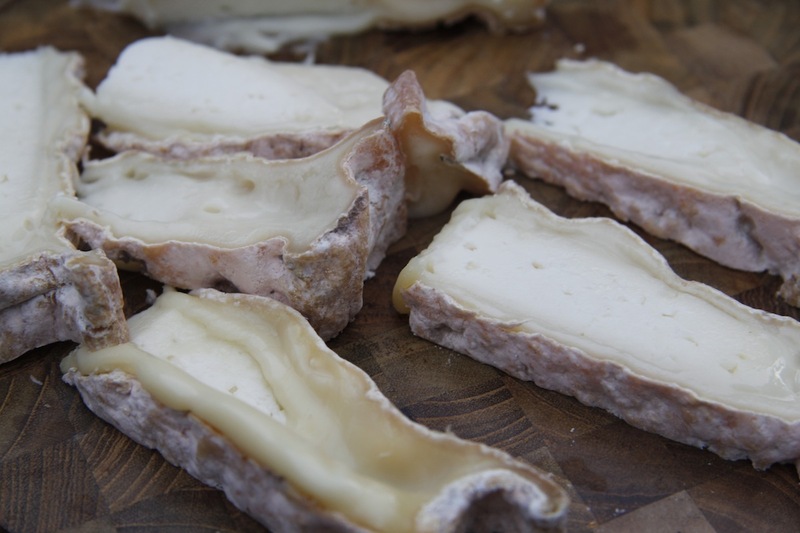 In total the cheese weighs between 1.2kg and 1.8kg. It takes us about a month to eat it, but I also make halloumi, mozzarella and ricotta to eat at home as well. I really recommend the cheese box – I absolutely love it. We started off getting it every two months, but had to upgrade to once a month. Maybe I am sad, but it makes me very happy!